The Kgalagadi Park in South Africa is one of the topAfrica wilderness adventure destinations for people from all over the world. If you ever get the opportunity to visit this extraordinary National Park, take it, it will be an unforgettable journey and the memories will last for the rest of your life. The three main rest camps offer some exciting activities. Enjoy daily game viewing with your own vehicle, aswell as night drives at Nossob and Twee Rivieren with experienced rangers. Lectures, video and slide shows and holiday programmes are organised from the information centre at Twee Rivieren. There is a predator centre at Nossob Camp and the hides at Nossob and Mata Mata offer excellent views of the animals as they come to drink. 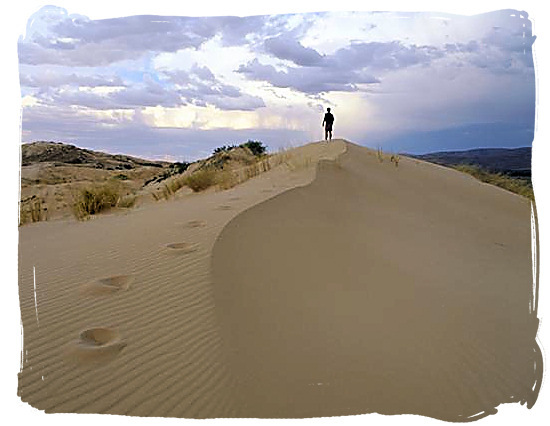 The three-day 4x4 wilderness trail offers two overnight rest camps along the Nossob River Valley. Trailers are not allowed on the trail. Day walks are available at Nossob and Twee Rivieren rest camps. copyright © South African tourism Cool off in the swimming pools at the Twee Rivieren, Mata Mata and Nossob Camps. 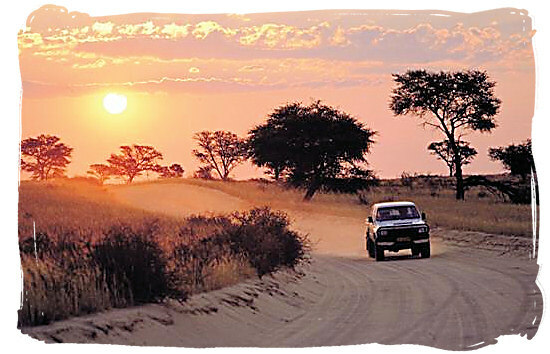 The Gemsbok Wilderness Trail, set deep in the heart of Botswana, is suitable only for 4x4 vehicles. Visitors who book well in advance can explore the 257km wilderness track whilst savouring the wonderful solitude and freedom of the park. 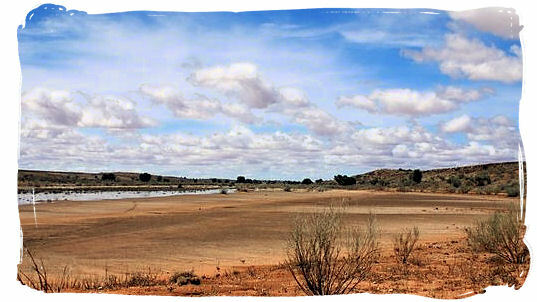 Kgalagadi Park has sparse vegetation and most of the water is found in the dry riverbeds of the Auob and Nossob Rivers. It is one of the best Parks to find predators and to see large herbivores that constantly search for water and sweet grasses, next to amazing landscapes. Lion, leopard, Cheetah, Spotted Hyena, Brown Hyena, Honey Badger, Black-back Jackal and Bat-eared Fox are some of the predators you will find here. Springbok, Gemsbok, Blue Wildebeest, Red Hartebeest and Steenbok are the common herbivores, with Eland and Giraffe as the less common ones. The Aoub River runs along the west side of the Park from Twee Rivieren rest camp up through Mata Mata camp and into Namibia. It is a narrow and deep river bed and here is where you may find the Giraffe that has been recently introduced in the Kgalagadi. There is a variety of woodland birds here including the Hoopoe, Pied Barbet, Swallow-tailed Bee-eater, Cardinal, Glossy Starling, Lilac-breasted Roller and Yellow-faced Canary. 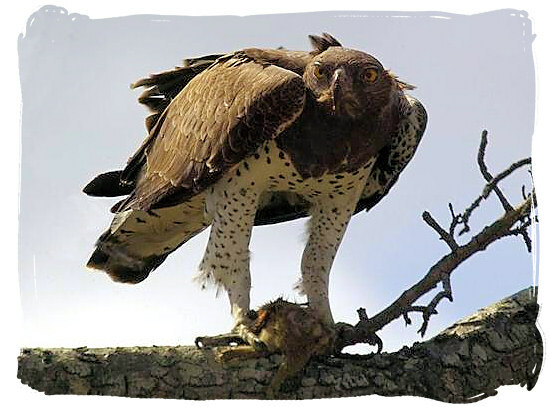 Raptors that may be spotted nesting are the Giant Eagle Owl, Martial Eagle, and Black-breasted Snake Eagle. The Nossob River is more shallow and wider than the Aoub River. It runs from Twee Rivieren along the Botswana boarder through Nossob Camp and then to Unions End through to Namibia. It is possible to spot large herds of Impala and Gemsbok in these river beds. 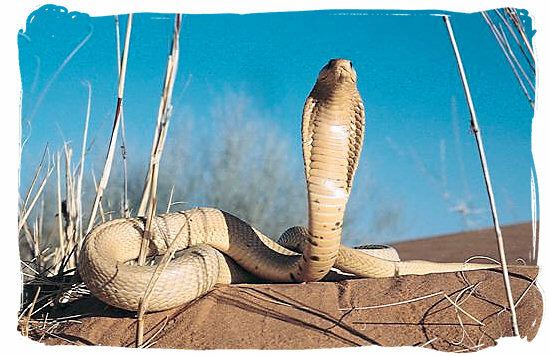 Common raptors found here are Pale Chanting Goshawk, African Hawk Eagle, Tawny Eagle, Secretary Bird, and Martial Eagle. You may spot the Lappet Faced Vulture and Barn Owl near Nossob. Up further north near Union's End Spotted Hyena may be found. 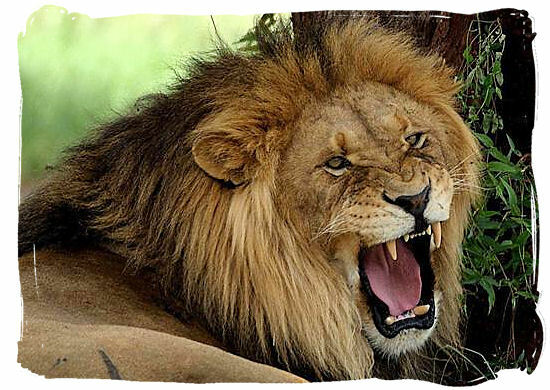 Lion can be found up and down the river bed, and the Black-backed Jackal, who are quite common. CAMP ACTIVITIES AND GAME DRIVES.